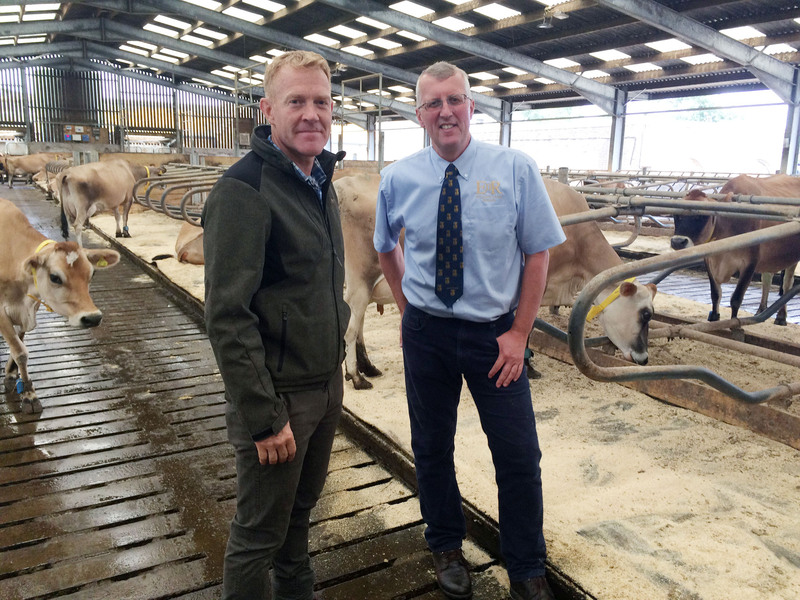 To coincide with the 65th anniversary of The Queen's Coronation and 30 years of BBC Countryfile, the Countryfile team visited Windsor to learn more about The Queen's estate, including the rarely photographed Royal Dairy interior. 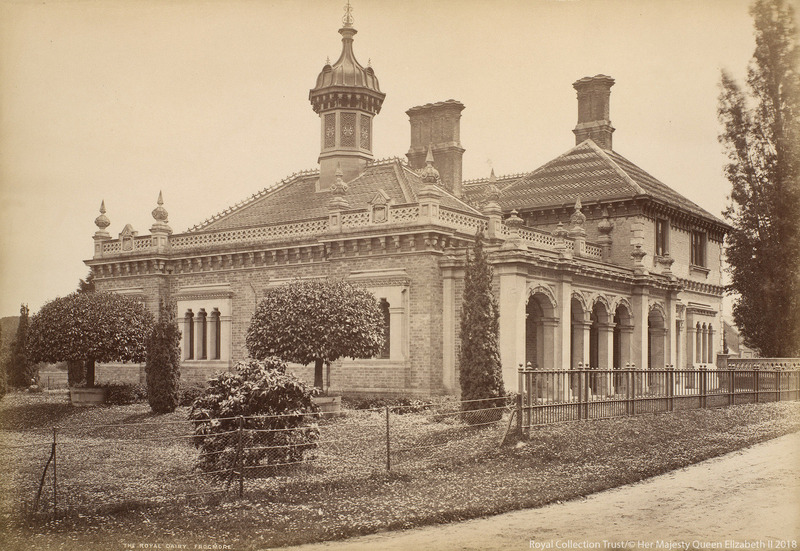 The historic Royal Dairy, which has never been filmed before, is situated in Windsor Home Park, just to the east of Frogmore House, and was built under the personal direction of Prince Albert in 1848. The new building, designed in the Renaissance style, replaced the outdated buildings from George III's reign. The elaborate interior of the creamery (40 feet long and 20 feet wide) has been preserved exactly as it was first built and is decorated with a large number of richly coloured tiles which cover the walls and floor. The milk would be brought in, and gone in the settling pans. These pans would have kept cool throughout by water running from three fountains; a mermaid, a merman and a lady holding a jug. 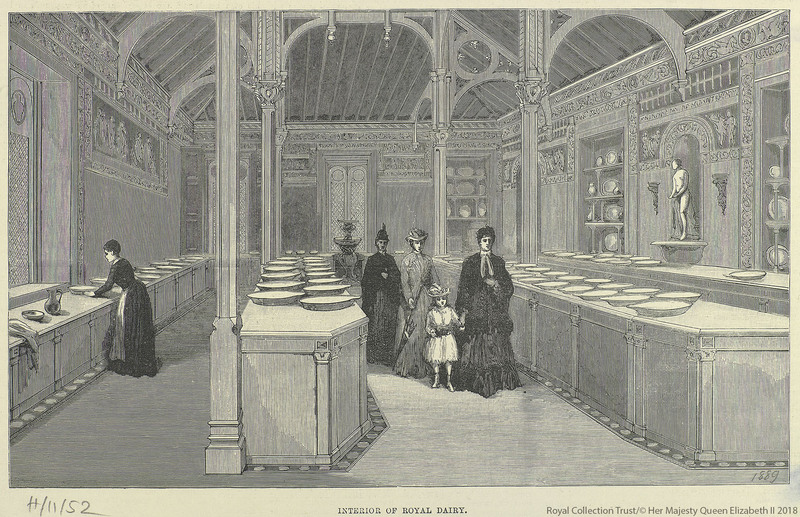 The water would have been running constantly under the marble trestle tops, keeping the milk at a temperature where the cream could be skimmed off and taken in the jugs and delivered to the Palaces. 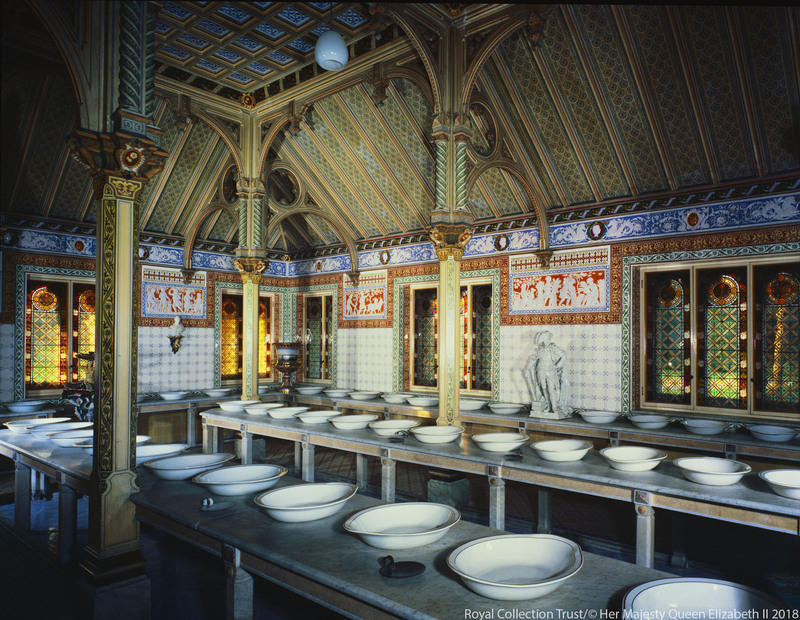 The overall scheme of coloured tiles was one of the first examples of its sort; it subsequently became very popular in such places as museums, banks and restaurants. The Dairy was one of Princes Albert's key areas of innovation in farming. A keen follower of agricultural science, The Prince Consort studied new developments and modernised the farms at Windsor, Osborne House and Balmoral Castle. Farming innovation has continued at Windsor to this day. 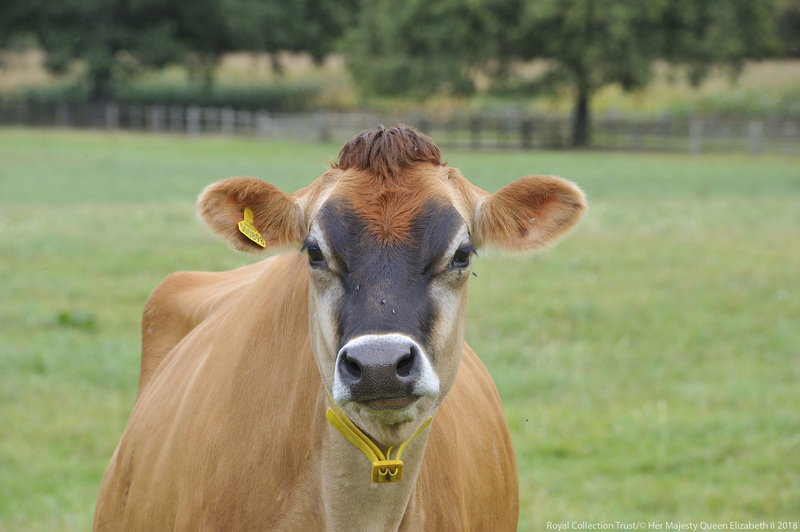 Currently the Windsor Dairy Farm is home to a herd of 165 Jersey cows, who are benefiting from the latest farming technology. Many of the current herd descend from the 'Pretty Polly' bloodline, which dates back to 1871 when they were given to Queen Victoria as a present. Currently two robots milk the cows, which allows the cows to come and go as they please, and improves the welfare of the herd. Robots also sweep the floor, gathering the slurry, which is then recycled as fertiliser.